If your current garage door has fallen into disrepair, and you are looking for a trustworthy company that you can partner with for a new garage door, turn to the experts at 31-W Insulation. For more than 40 years, we’ve been providing Greensboro, North Carolina, residents with top-notch products and reliable home improvement services and we would love to add you to our long list of satisfied customers by providing you with a beautiful new garage door. Traditional – Crafted from low-maintenance, heavy-duty steel, the traditional design can lend timeless elegance to a variety of architectural styles. Carriage House – If you want more of a quaint, rustic aesthetic, but also the effortless functionality of modern garage doors, these carriage house style doors are just what you need. Specialty – Adorned with clean, simple lines, ornamental iron, and expansive glass panels, these specialty doors offer something out of the ordinary. 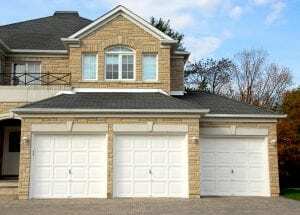 No matter which style you select, you can be totally certain that your new garage door will provide you and your family with many years of durability and dependable service. Built to provide exceptional protection against forced entry attempts, high wind pressures, and regular wear and tear, these garage doors will stand the test of time and look great doing it! To learn more about partnering with 31-W Insulation to have a new garage door installed at your home in Greensboro, NC, or a neighboring community, contact us today.